I bought this for my daughter who loves MK’s watches. The gold finish is nice, not brassy, and the mother of pearl face is beautiful. We had to size it a little smaller which was easy. She wears it everyday. 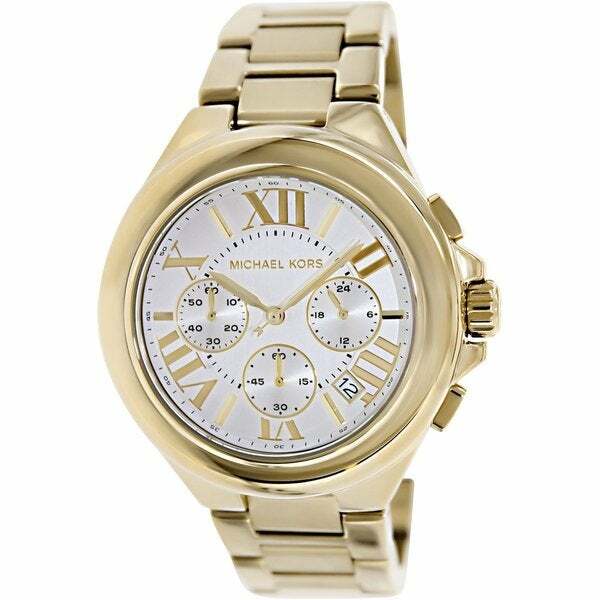 This stylish women's chronograph watch from Michael Kors features a goldtone stainless steel case with a matching bracelet. The gold dial sets the stage for Arabic numerals and a date window at 4:30.